Well, we all thoroughly enjoyed our Miniature Steam Gala weekend in April, and the weather helped. The many thanks and comments we received were appreciated. So back to normal, Public Running on our Miniature Railway on the first Sunday of the month, with the next one on Sunday 5th May. 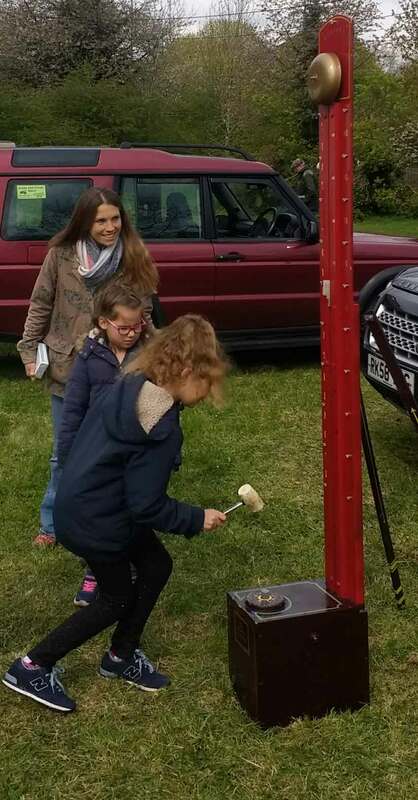 Proper, traditional man-splaning  at our Miniature Steam Gala. Well done that dad. Ding! Excited children and a big hammer. What could possibly go wrong? 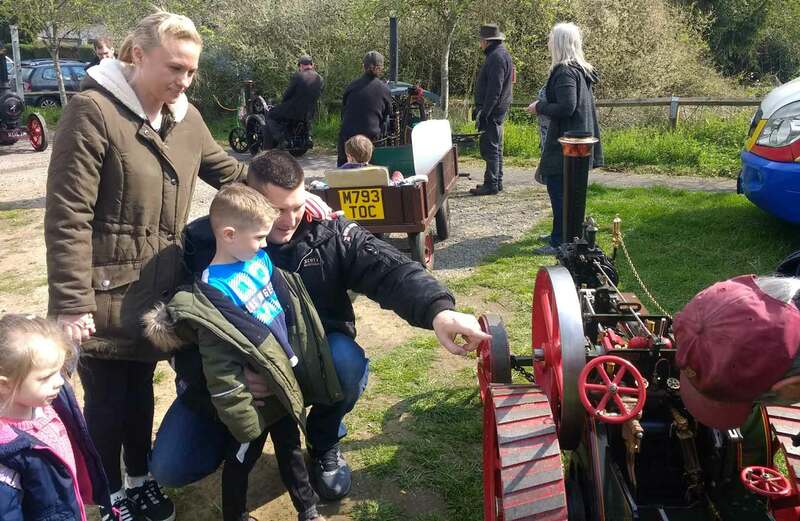 The club has running days where any member of the club can run their railway, traction or stationary engine at our facilities. The aim of the day is to run, enjoy, socialise and show models to other club members. Unfortunately these events are not open to the public due to restrictions on our insurance policy. Members of other clubs are welcome to attend any member's day throughout the year. Boiler certificates will be required. Please get in contact if you wish to run from another club to let us know to expect you (and to make sure we have enough tea and biscuits). Members day running is usually from about 10am to 5pm. Social club meetings are on alternate Tuesday nights at the clubhouse, and often have a theme or event. These meetings are for members only, although prospective members are welcome, please ensure you find a member and are signed in as a visitor. Meetings run from 7pm to 9pm, with optional members running afternoon. Any comments on the site should be directed to the webmaster other communications should be directed to the appropriate officer on the Contact page. The B&DMES is a member of the Basingstoke Roundabout - which supports and encourages local clubs and businesses in the Basingstoke area. Click on the 'Next' link to randomly visit another Basingstoke member's website. Unless attributed otherwise, photographs are taken by Stephen Newell, Austin Lewis or Richard Holt. No copies or reproductions should be made without prior permission from the appropriate author. Contact the webmaster for further details.